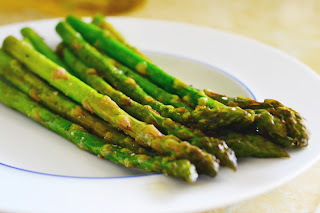 As you may have noticed, since this is my second post this week featuring the vegetable, I love asparagus! I'm lucky enough to have a daughter who loves it too, so when it's in season, it's all asparagus, all the time. My favorite way to cook asparagus is to roast it. It's quick; it's easy; and roasting it preserves the crisp freshness that epitomizes the flavor and texture of this spring vegetable. 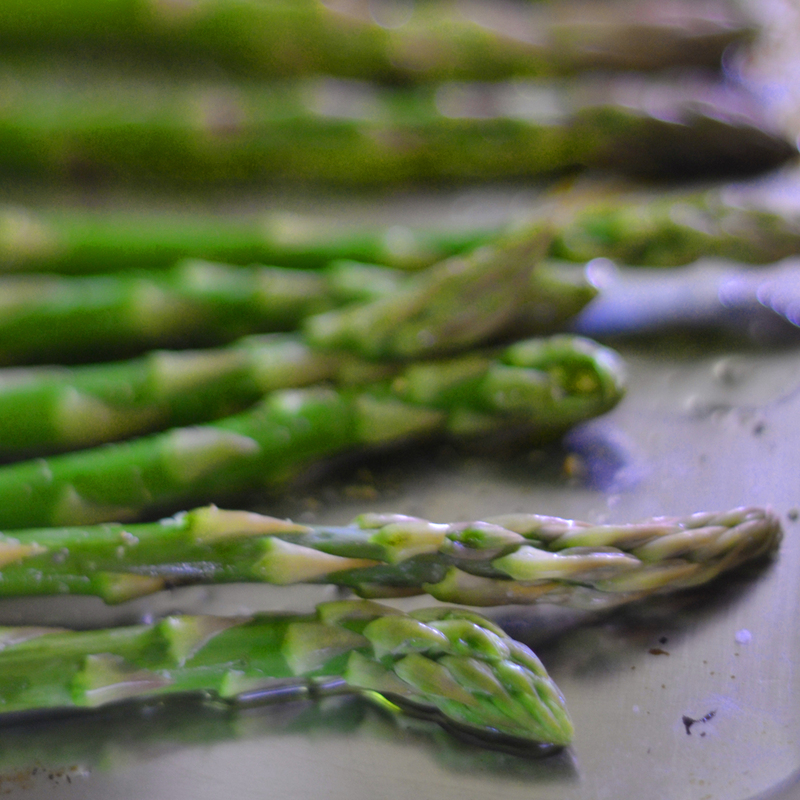 Preheat your oven to 400 degrees F. Wash and trim the woody parts of the stems off of the asparagus. Lay them in one layer on a cookie sheet (with edges so the olive oil doesn't drip to the bottom of your oven). Drizzle just enough olive oil over the asparagus to cover them lightly, but completely. Salt and pepper them to your taste. Place in the oven for about 10 minutes. The asparagus are done when they are starting to get a little crispy on the tips. My family and I LOVE asparagus. It's so incredibly delicious - if cooked right. We roast it most often and drizzle with a balsamic reduction. Or finely grated lemon zest with olive oil. I'm hungry now just looking at your photos! We love asparagus too Mindy. I've just discovered roasting asparagus in the last year and it is so easy I use that method often. There's nothing worse than limp asparagus.